Let's get this topic underway! Who's heard this before? Cool Cool Water wrote: Let's get this topic underway! Who's heard this before? I'm sure I've heard it before. Great rollicking stuff to kick off the BW thread. I love the chord progressions throughout. One of the genius's of Brian Wilson is that he would change to chords you never thought would work! How could any music teacher give Brian an 'F' in music? At least, it finally got changed to an 'A'! Hooray for Hawthorne High! CherokeeRose wrote: How could any music teacher give Brian an 'F' in music? At least, it finally got changed to an 'A'! Hooray for Hawthorne High! That's really heart-warming. Justice at (long) last! I'm guessing the teacher is long passed? I guess he kicked himself for years after for giving that an 'F'. I remember seeing an interview with him (Fred Morgan) and he discusses what happened. Cool Cool Water wrote: I remember seeing an interview with him (Fred Morgan) and he discusses what happened. It's from an old BB documentary. I can't for the life of me remember the name of it, though! However, and lucky for yourself, Brian's Instagram page posted the clip the other day. See link ---> ""Brian’s high school music teacher talks about giving Brian an F.""
**Click the video next to the picture of Brian running from his school days. Quite easily - Brian didn't hand in what the teacher specified. Instant fail. You have to wonder, even if he did hand in the wrong assignment, if the music teacher ever thought that Brian had some talent. "Morgan, now VP at Lennox HS, is remembered by many for giving BRIAN WILSON, leader of the Beach Boys, an 'F' for writing "Surfin' USA," later to be a million dollar hit for Hawthorne High's BEACH BOYS. Morgan answers the obvious question: he simply didn't bring in the assignment asked for! Fred Morgan recounts those days in the 50's and early 60's with pleasure. "There was real empathy between teacher and student back then. Some of those kids are among my best friends yet today." Passing on to Brian any Beach Boy mail that might occasionally show up at HHS, Morgan has joked about the 'Surfin' USA" episode. Supposedly the paper marked 'F' hangs framed next to the gold record of the same title!" Not exactly historically accurate, but you get the idea. The list at the end (last updated August 1997) describes him as living in Santa Maria. and you get a Frederic Morgan living there who is now 83. It's possible, I suppose. It sounds like there was a lot of mutual respect between the two of them. Both probably look back and sort of laugh at the incident. Dr. Morgan had to do what was necessary when a student doesn`t do the assignment, but on the side he had to admire Brian`s originality and most likely encouraged it. How about this wonderful song written by Brian Wilson and Tony Asher. Quote Dr Strange; "This was recorded sometime around 1995-96. Marilyn Rovell was not involved, even though she is in the picture. It's Brian and his two daughters Wendy and Carney from The Wilsons/Wilson-Phillips. The finished song was released on their album, but the demo is much nicer." 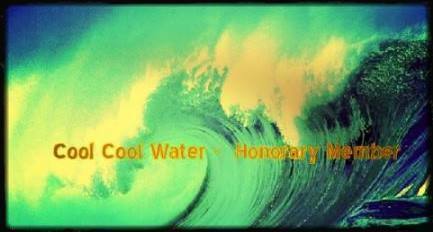 Cool Cool Water wrote: How about this wonderful song written by Brian Wilson and Tony Asher. Quote Dr Strange; "This was recorded sometime around 1995-96. Marilyn Rovell was not involved, even though she is in the picture. It's Brian and his two daughters Wendy and Carney from The Wilsons/Wilson-Phillips. The finished song was released on their album, but the demo is much nicer." ...and Freddie's entry on "Who Wants To Live Forever". Demos are often more moving than the released version, "I Talk To The Wind" being a prime example. 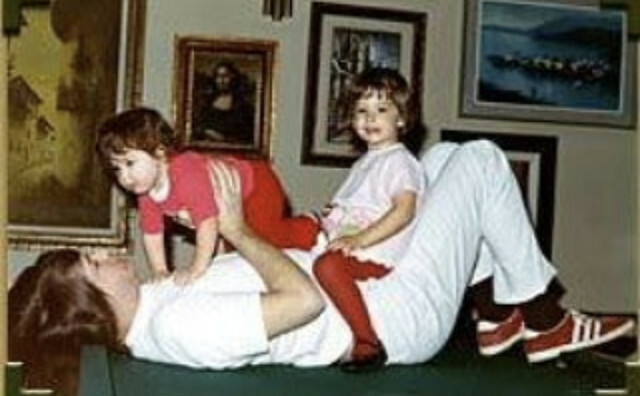 Check this cool photo I found of Brian in his house back in the late '60s, with his two young daughters at the time, Carnie and Wendy Wilson. I like the Mona Lisa replica on the wall behind them---unless it's the original! Cool Cool Water wrote: Check this cool photo I found of Brian in his house back in the late '60s, with his two young daughters at the time, Carnie and Wendy Wilson. Heartwarming but heart-breaking as well, knowing what they all had to go through in the years following. Mr. K wrote: Heartwarming but heart-breaking as well, knowing what they all had to go through in the years following.